Clean Away Disposal, LLC is a residential trash removal company proudly servicing the middle Tennessee area for over 25 years. 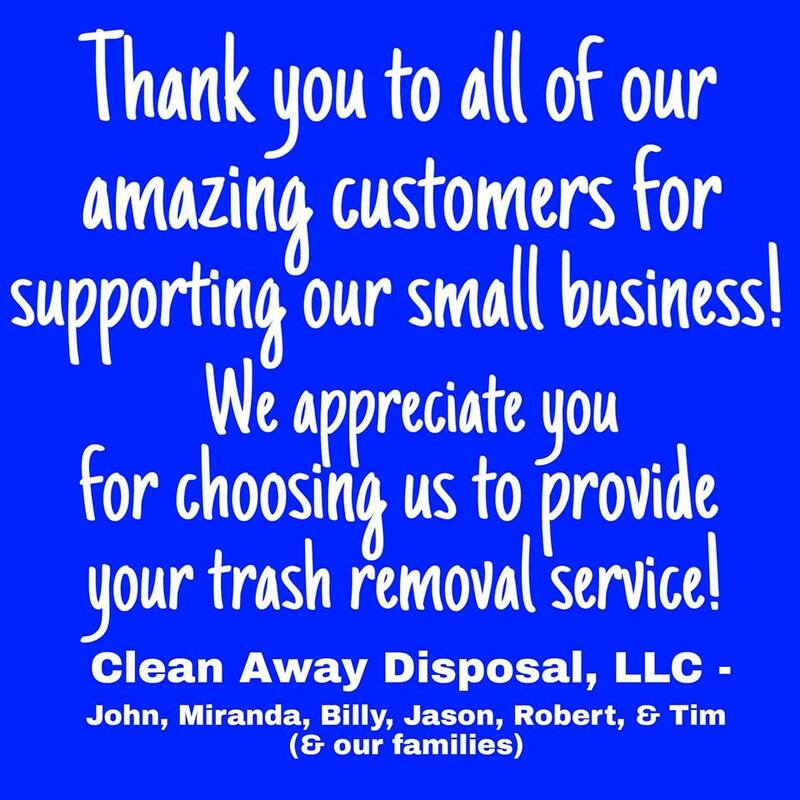 As a family owned and operated business, we take pride in providing prompt and dependable service to all of our customers. For the holiday schedule for 2019, please visit our Holiday Schedule page. Contact us today to set up your services! 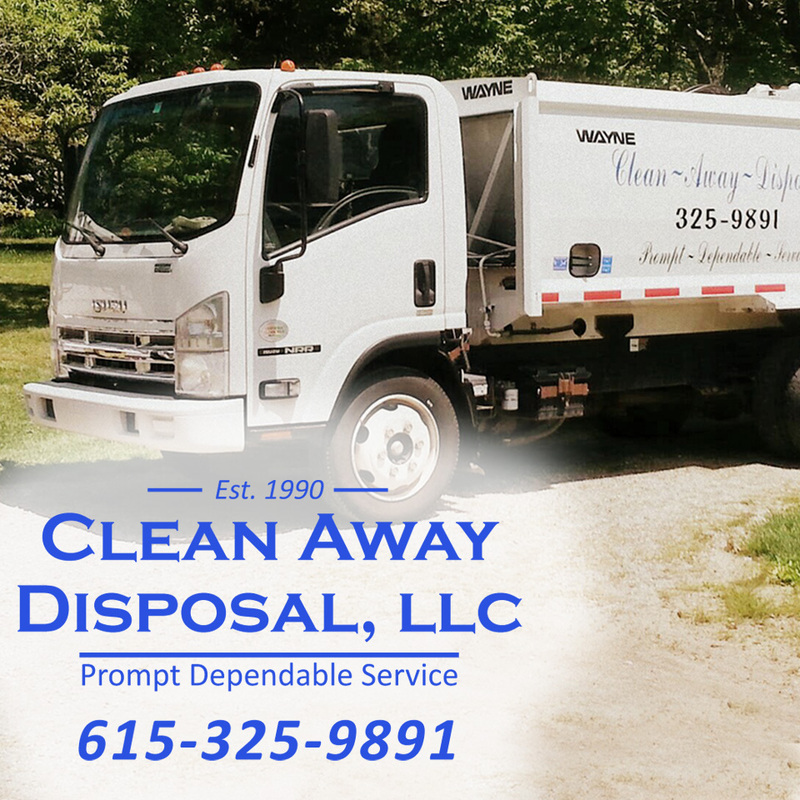 Clean Away Disposal, LLC does not use or authorize any third party companies to set up services, administer contracts, or contact prospective customers. If you would like to set up services, contact our company directly. 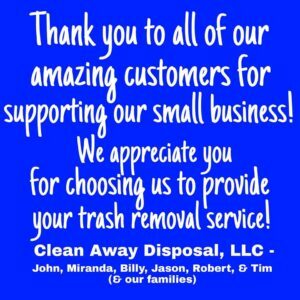 Clean Away Disposal, LLC reserves the right to refuse services or terminate services with or without notice. Payment is due on the 1st of every month - A $3.00 late is applied if payment has not been received by the close of business on the 8th. Auto pay accounts will be charged on the 1st of the month or the following business day. If you currently have a balance and sign up for auto pay, your current balance will NOT be paid at that time. Balances must be paid when signing up for auto pay or your balance will NOT be paid until the 1st.